We kick off this wintry month with Members night at the Center on 7:00 PM December 10th Dave Small will lead off on a short presentation on Winter Birds and members will follow with a few of their favorite slides. from the past year or fro the past. A fun night to share our natural history interests. December 20th we embark on the annual Christmas Bird Count. Teams are assigned geographical areas to cover. We meet a the Center at 6:30 for coffee and assembly of teams. Birding through the day, the teams will regroup about 4:30 for the Tally – potluck. Whether a feeder watcher (check map at left) or a member of a team this is a great way to document our wintering birds. 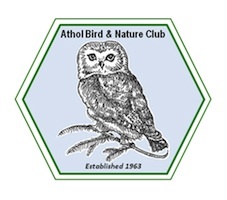 If interested in joining a team contact Dave: dave@atholbirdclub.org feeder reports may be e-mailed to the same address on Saturday the 20th. The tally is open to al bring a dish to share and see how many interesting birds have been seen in the area.